Sometimes, all you need is two or three nights away from the hustle and bustle to recharge your batteries. That's what you get with this deluxe hotel stay – a getaway with fantastic accommodations. In a world of limitations, we proudly offer more than 40 destinations to choose from. Surely, one of them will strike your recipient's fancy when they are provided with this wonderful vacation – our best promotion package. It allows the user to get away to the destination of their choice – and who wouldn't love getting to pick where they want to go? Whether it's a tropical getaway on the beach, a trip to the serene mountains or an adventure to amusement parks to get your fill of thrills, there is truly something for everyone. This essential incentive is available as a 2-night (retail value: $399) or 3-night (retail value: $599) package, and both provide your customers with the same prime benefits: choice, convenience, value and a quality stay. A 3-night (retail value: $599) package that gives the recipient a little more time to explore in their chosen getaway destination, for even greater enjoyment (and appreciation). This is one of our best-selling incentive products. There are more than 40 destinations to choose from! Call us today to find out how this incentive can help your business. This is our best-selling incentive product. There are more than 40 destinations to choose from! Call us today to find out how this incentive can help your business. Grand Incentives and its affiliates assume no liability in trademark and/or copyright disputes. The logos, insignias, designs and trademarks which are shown in this product - and any textual references to same - are reproduced only to show examples of hotels used by Grand Incentives and its affiliates. They are not to be construed as product or brand name endorsements by or for the trademark owners. There are no hoops to jump through with this package. We offer the convenience of registering online. 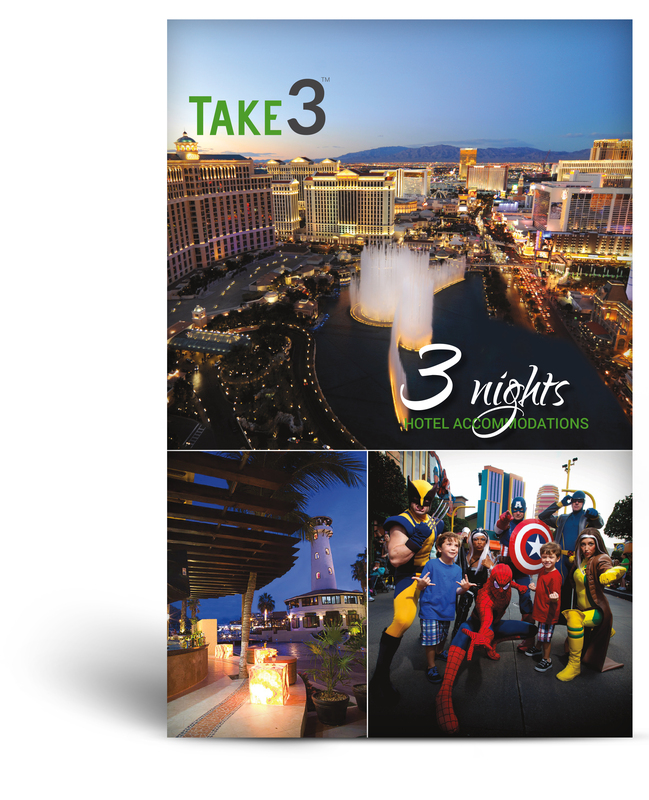 Or, if preferred, your customers can call our fulfillment center to book their 2- or 3-night getaway. In addition, we can assist with all travel plans! We have great deals for traveling by land, sea or air. This certificate requires 72-hour advanced travel notice – there is no deposit required and the user only has to pay hotel taxes, plus any upgrades, if requested. Full out the form to shoot us an inquiry. We can give you more detailed information on how it works and how we can make your goals become a reality.